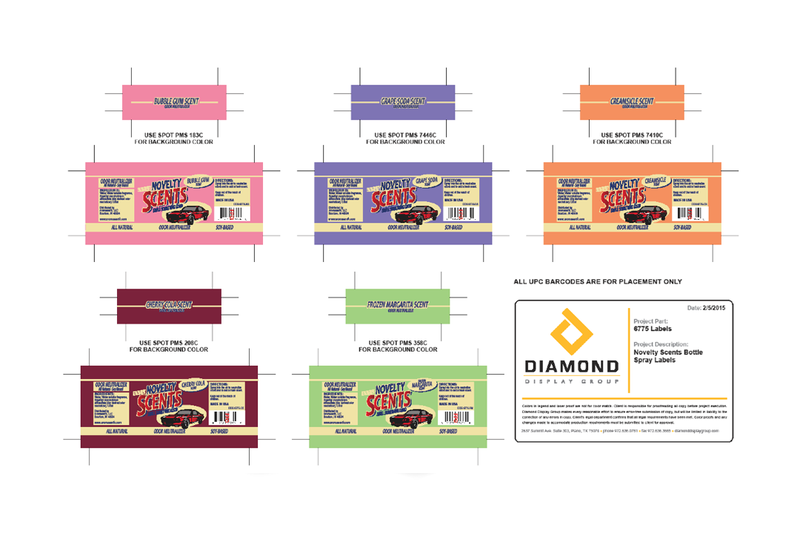 The client created a new unique set of spray scents for cars, home, office, etc. They created scents such as bubble gum, and cherry cola. 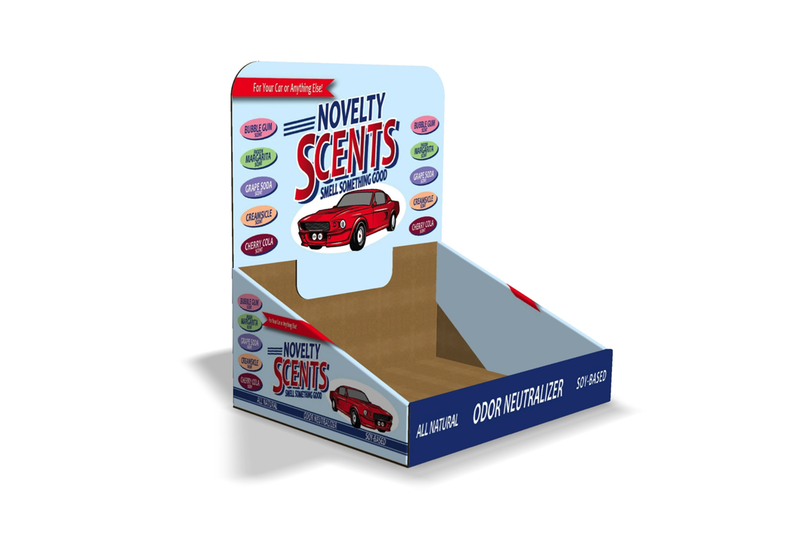 The client hired Diamond Display Group to graphically design a logo lock up for their new line of “Novelty Scents” and to graphically and structurally design a display to merchandise the new product line. The client wanted to use a countertop style display to hold their product. They preferred a small design that could be placed in numerous locations throughout the retail space to give optimal viewing opportunity to the retail customers. The target market was consumers that buy scented products for their home, office and car. We graphically developed a logo lock up that supported the client’s views of this line of “Novelty Scents” being nostalgic and taking the customer back in time. We also structurally and graphically designed a temporary countertop display solution using a tray, product dividers and header. We used the newly developed logo branding and integrated it into the display graphics to create an eye-catching display for the retail customer. The logo branding and development of the countertop display provided a positive impact for the client by giving the client a logo that consumers relate to and the ability to have a variety of display location opportunities within the retail environment.